I was pleasantly surprised to find that upon my arrival back to New York, it wasn’t freezing yet. Wet, sure. But definitely not cold. I am a touch relieved because even though I was miserably hot in India, I was a little worried I was coming back to Brooklyn only to don my coat and winter boots. I celebrated with hitting the farmers market at Grand Army Plaza and was even more pleasantly surprised to see it was still bursting at the seams with squash and tomatoes and green beans and corn. And that was good, because after eating almost nothing raw for 4 weeks, I was ready to tuck in to a big bowl of virgin veggies. 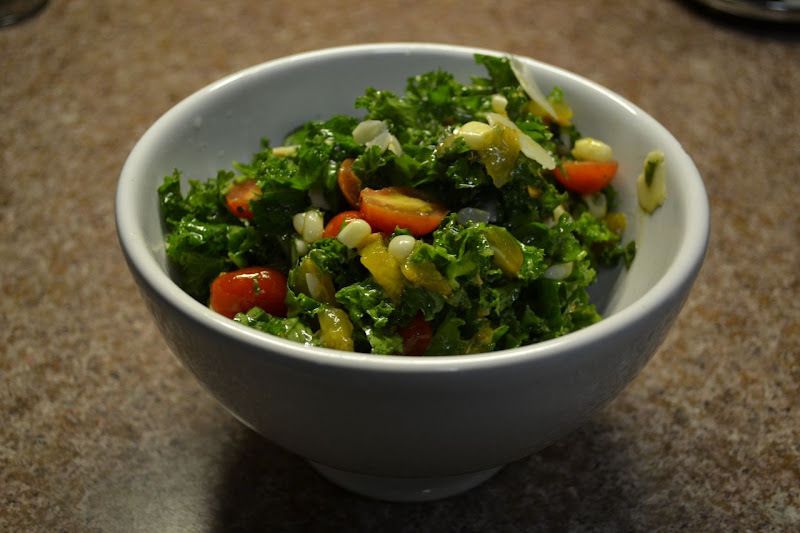 Naturally I was craving an old staple – hearty raw kale tossed with a citrus dressing – but I didn’t really feel like Dr. Weil’s salad was truly using the market to its full capacity. So having no real plan in the works I bought all of the things at the market that I thought looked amazing and knew were about to be in short supply. I of course kept the lacinato kale and the pecorino cheese, and only made slight adjustments to the dressing, and the salad came out better than ever. Just a few hundred more bowls of this and I will be ready for curry again. Enjoy! Of course you can use any kind of kale for this, from curly to Black Russian. For the dressing, agave syrup is more concentrated than honey, so if you choose to use, cut the quantity in half as directed. Prep time: 10 minutes, Serves 4. Cut kale off of the stem and submerge in a stock pot or large bowl filled with cold water and let rest for 3 minutes. Meanwhile, make dressing by combining all ingredients in a sealable jar or a mini food processor and shake or process until combined. In batches, remove from water and spin until very dry in a salad spinner. Chop kale into roughly bite-size pieces and transfer kale to a large bowl. Toss with all but two tablespoons of the dressing. Put to the side to let marinate with preparing other ingredients. Shuck corn and rinse to remove silk. Holding the cob perpendicular to your cutting board, slice downwards with a sharp knife, removing kernels from cob. Watch video of this here. Add the kernels to the bowl with the kale. Slice tomatoes in half length-wise and add to bowl. Slice peach in half, remove pit and slice into 1/4 inch slices, then cut slices in half. 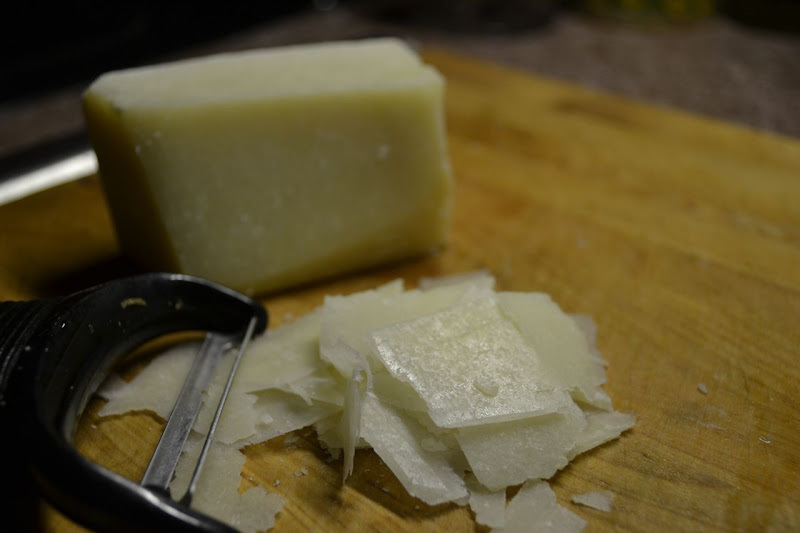 Add to bowl along with pecorino. Toss all ingredients together, adding more dressing if need be and additional salt and pepper to taste. Divide evenly among 4 bowls and serve.